Hereford "H" Ear Tag – identifying registered, performance recorded Hereford animals from all others. This will be incorporated through the visual set of tags, with breeders having their choice of female (front) tag with the male (back) tag being a bright blue, ear tag with a large ‘H’ denotation. The ‘H’ tag will be available in 5 size combinations (maxi/maxi, maxi/large, large/ large, large/medium and medium/medium). Female (front) tag – Breeder printing preferences and colour choice. Male (back) tag – ‘H’ logo, animal number and year code (optional). The EID ear tag is unaffected by the ‘H’ tag concept. 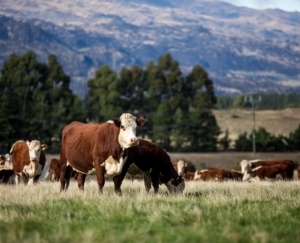 The purpose of the tag is to identify and demonstrate the value in purchasing registered Hereford bulls vs. bush bulls. The ‘H’ tags are available from PBBNZ using leading tag brands Allflex and Zee Tags. Only those Hereford breeders with an NZHA/PBBNZ account will have access to ordering these tags. 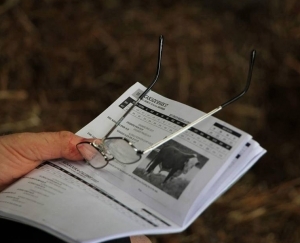 This ensures the ‘exclusivity ‘of the tag remains with registered Hereford breeders. For more information please contact the NZHA or PBBNZ office on 06 323 4484.